What’s detox center? It’s a facility that helps people with substance use disorders take the first step to sobriety. Healthcare professionals at detox facilities monitor and treat patients while their bodies process harmful chemicals out of the system. Quitting cold turkey, i.e., abrupt cessation of drug or alcohol use can be extremely dangerous. During medical detoxification, drugs are weaned gradually under supervision. During drug detoxification, removal of the illicit substance occurs naturally through the liver, kidneys, and digestive system. However, the physical and psychological dependence on powerful drugs and alcohol can produce a number of withdrawal symptoms, ranging in severity from mild to life-threatening. Read on to learn about detoxing safely at a drug or alcohol detox center near you, the dangers of detoxing at home, and the cost of detoxification treatment. What Happens in Detox Center? Starting Addiction Treatment: What Type of Detox Facility Should You Choose? 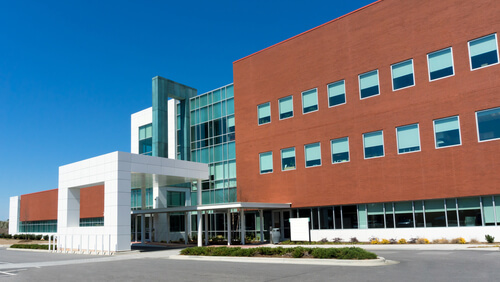 Outpatient detox centers are freestanding substance abuse treatment facilities or physicians’ offices where recovering addicts receive treatment on a daily basis during a scheduled appointment and return to their home thereafter. As the name suggests, this is a more intensive detox than baseline outpatient treatment. During this type of detoxification, the patient is monitored closely by medical personnel for several hours during an appointment to ensure there are no side effects or need for further medical care. Inpatient detox facilities are usually located at specialized substance abuse treatment centers where patients reside for the duration of the detoxification. Residential detox centers are clinically managed rather than medically-monitored. They offer around-the-clock supervision and social support during the detoxification process. These facilities are residential centers that use detox meds to manage drug withdrawal. Patients receive 24-hour care and monitoring by licensed medical professionals during the detoxification process. These are general or psychiatric hospitals that conduct medically-managed detoxification. Patients receive 24-hour supervision and timely and appropriate medical care for severe withdrawal symptoms or any complications. Rapid detox centers use medications such as sedatives to speed up the recovery process and make it as painless as possible. Some centers perform ultra-rapid detoxification to flush the drug out of the system and significantly reduce discomfort. Some centers cater to specific populations, for example, teenagers with substance abuse problems. Opiate detox centers exclusively enroll people with addiction to narcotic pain medications. The choice of a detoxification facility depends on the needs of the individual. If a recovering addict is an adult with work and family responsibilities and a mild to moderate addiction, outpatient detox may be their best bet. Individuals with severe longstanding addiction and complicating health conditions may need the close medical supervision offered by inpatient detoxification programs in the hospital setting. Local medical detox centers around the country offer different services to meet the needs of every type of recovering addict. What to Expect in a Detox Center? What does detox center do? A detoxification facility offers people with addictions a chance to safely withdrawal from drugs and alcohol. The type and length of treatment at a detoxification facility depends on the substance being used and the duration and severity of abuse. Detoxification usually takes 3-14 days. What happens in detox center? The first stage of detoxification is the evaluation which occurs on the first visit. This includes an intake interview with a medical professional who obtains the patient’s medical and drug abuse history and performs a physical examination and laboratory studies. At the end of the encounter, an individualized detoxification strategy is developed to address the needs of the recovering addict. Individuals enrolled at an outpatient detox facility must present daily for the treatment sessions. Residential detox centers offer the treatment on-site. The next phase of detoxification is stabilization, during which the recovering addict’s body is gradually weaned off the offending substance. Alcohol and drugs are powerful substances and tapering must be performed under medical supervision. Staff utilizes medical and psychological therapies to make the drug withdrawal as comfortable as possible. Medications may be administered to manage withdrawal symptoms, which can include insomnia, mood changes, irritability, anxiety, cravings, hallucinations, and nausea. Medications may also be prescribed to reduce cravings and minimize the chances of relapse. Detox addresses the physical symptoms of withdrawal from an illicit substance, but does not address the factors that led to the addiction. Medical personnel at specialized detox facilities are trained to treat underlying mental health issues and other medical problems during detoxification for the best chance of recovery. Once the acute withdrawal symptoms are under control, recovering addicts begin receiving additional care to prepare for the transition from detox to long-term alcohol and drug rehabilitation. Safe Withdrawal from Drugs and Alcohol: What Are the Dangers of Detoxing at Home? For many addicts, it is very tempting to simply go through the drug detoxification process at home. Some people just decide to quit alcohol or drugs cold turkey. Others try tapering off the drug gradually. Home detox kits available on the market rely on unproven treatments such as concoctions of vitamins, herbs, and tinctures. Yet, none of these treatments are proven to work and detoxing at home can cause more harm than good. While self-directed detox may save money, detoxification that is not supervised by trained professionals can prove to be extremely dangerous. At best, it may be ineffective. At worst, it may aggravate mental health symptoms or pose serious health risks, even proving fatal in some cases. Drugs are powerful chemicals that wreak havoc with the body’s natural balance. Withdrawal from opiates can be extremely uncomfortable. Individuals with longstanding alcoholism are at risk of delirium tremens, a severe type of withdrawal symptom that needs a medical detox. 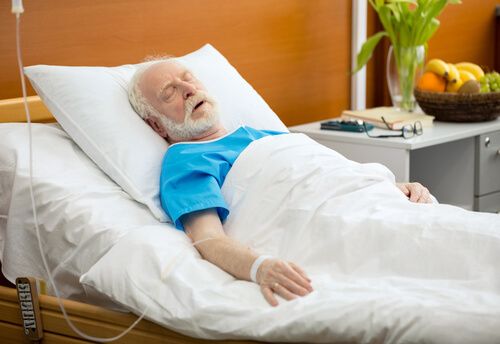 Benzodiazepine withdrawal may be associated with life-threatening complications that need to be managed in a healthcare setting by qualified medical professionals. Withdrawal symptoms from cocaine can last for up to a month, and without constant monitoring, the chances of relapse are high. Acute withdrawal from methamphetamines can lead to psychosis when the brain doesn’t get a hit of drugs. 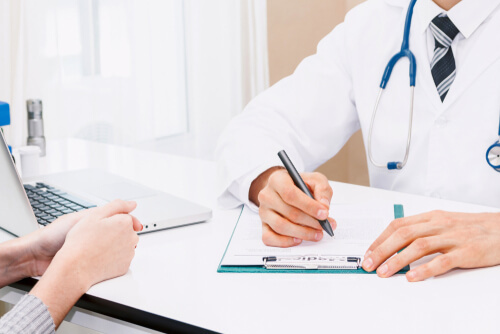 Supervised medical detoxification is necessary to keep the patient safe and comfortable and handle any complications that arise during the process. Does the detoxification center treat the type of addiction I have? Are the staff qualified and experienced in caring for people like me? Detoxification for each type of substance varies. Detox from alcohol, cocaine, opiates, amphetamines, or ecstasy is not the same. For example, opiate detox centers specialize in treating people with an addiction to prescription pain medications. The staff at these centers have specialized knowledge and experience in caring for such individuals to ensure the detoxification is as comfortable as possible. State accreditation bodies ensure that qualified staff provides safe, effective treatment at detox centers. The Substance Abuse and Mental Health Services Administration (SAMHSA) is a good resource to find accredited facilities offering drug and alcohol detoxification programs. Obtaining treatment at an unaccredited center can prove dangerous as these facilities may not adhere to the best practices and established standards of care. What is the cost of treatment and what types of insurance are accepted by the detoxification center? The cost of detoxification is a limiting factor for many people. It’s important to check beforehand if the detoxification treatment center accepts your insurance. Some facilities offer sliding scale payment options or low-cost detox programs to people without insurance and limited source of income. What is the staff-to-patient ratio? How well are the staff qualified? A higher staff-to-patient ratio means there is more staff available to care for patients. Some states place a limit on how many patients can be cared for at the facility depending on the number of staff. The qualifications of the nurses, psychologists, physicians, and counselors at the detox center are also an important consideration. Fully qualified staff with specialization in detox and addiction treatment are able to provide the best possible care. Does the detox center offer individualized treatment? Every recovering addict has varying needs. The severity of the addiction and underlying health problems also vary from person to person. Individualized plans offer a better chance of success rather than a one-size-fits-all approach to detoxification. Comprehensive detox planning includes not only the physical withdrawal from drugs, but also medical, psychological, social, and legal concerns. Does the facility offer medication-assisted detox? Are the therapies offered scientifically based? Many detoxification centers prescribe medications to make the withdrawal from alcohol and drugs less distressful. Unsupervised withdrawal can be dangerous or even fatal. Reputed detox centers offer specific treatments which have proven effectiveness based on research. Detoxification facilities that offer experimental treatments for substance abuse may not be the safest or the most effective. How Expensive is Treatment at a Detox Facility? The cost of detox varies depending on the level of care and whether it is residential or non-residential. Inpatient detoxification includes room and board and around-the-clock medical supervision, so it’s obviously expensive and costs can be between $5,000 to $7,000 for a one-week program. Medically-monitored inpatient detox centers are often the most expensive as they offer the intensive care. Outpatient detoxification treatment is typically the least expensive with costs between $1,000 to $1,500 in total. Private facilities cost more than state-funded detox centers. The cost of treatment varies depending on the range of services offered. Some faith-based and state-funded free detoxification facilities offer help to the homeless or those without health insurance or steady income. The more complicated the drug abuse history and co-occurring medical conditions, the more careful the monitoring needed, the longer the treatment, and the higher the cost of detoxification. The cost of medications must be factored in as well. For example, methadone treatment for heroin users can continue for months to years and can cost as much as $5,000 per year. 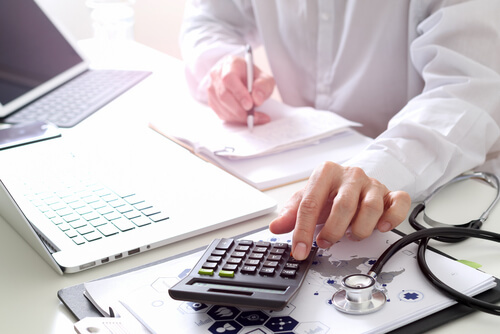 Lost time at work, traveling costs, and childcare must also be taken into consideration when calculating the cost of treatment at detoxification centers. Continuing Addiction Treatment for Long-Term Recovery: What’s Next After Detox? The road to recovery is a long one and detoxification is merely the first step in the treatment of substance abuse. Detoxification addresses the symptoms of drug withdrawal but not the cause of the addiction. Addiction is a complex medical condition. Simply returning to routine life after detoxification does not address the underlying reasons that led a person to drug abuse. Detox resets the system and cleanses the body of toxic chemicals. It offers a fresh, clean start, but long-term rehabilitation is necessary to remain abstinent from alcohol and drugs after detox. Recovering addicts should not think of detoxification as a cure for their addiction. Drug rehab after detox includes counseling and therapy sessions that address the root cause of the addiction. Evidence-based psychotherapy modalities help change negative thought patterns and behaviors that predispose a person to substance abuse. Co-existing mental health conditions are treated simultaneously for the best chance of relapse-free recovery. In addition, the recovering addict’s nutrition and physical health are optimized. Finally, aftercare and relapse prevention plans are put in place for a drug-free future. If you or someone you love needs treatment at a detox center, call our free helpline (888)-459-5511 for more information on your options. Advisors are available to answer your questions, give you information on detoxification facilities, and guide you towards safely withdrawing from drugs and alcohol. Calls are always confidential and secure.